Vacant for the past 12 years, the former Weona Villa Motel on the eastern edge of Round Hill could once again become a multi-unit place to sleep. This time around, however, dozens of people would call it home. Tree of Life Ministries Founder and Executive Director Paul Smith last week requested the Round Hill Town Council consider extending municipal utility service to the 7-acre property. The first step would be expanding the Joint Land Management Area, the boundary of which falls short just shy of the property line. Smith told councilmembers that his nonprofit—which operates a housing ministry, food pantry, community kitchen and clothing and furniture distributions and offers life skill classes, financial relief and respite care for seniors and those with special needs—intends to purchase the property and convert the 65-year-old, 8-room motel into a communal center and to build 32 micro cottages that would be leased to low-income residents. He said it’s unclear whether the property’s existing well and septic system could sustain the community’s needs. Smith’s contract to purchase the property is contingent on his ability to prove to the landowner in the next 120 days that the micro-cottage community would be a viable development there. That basically means he needs the town to assure him that it will provide water and sewer by June. 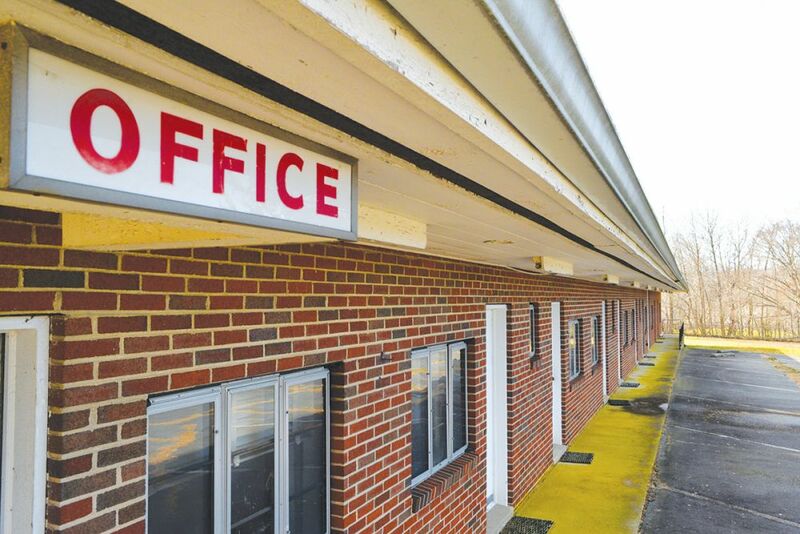 To make that happen, the town and county governments would need to agree to update their comprehensive plans to include an extension of the JLMA—an area outside the town limits where the town provides water and sewer service. Smith said that the 32 micro cottages would be built like duplexes and that each one would consist of a living-dining-kitchen area, a single bedroom and bathroom and a shared utility space between two units. He said the small size and shared utility room would keep costs down and promote the idea of community. While county zoning permits one lot per 20 acres under the land’s current zoning, Smith said that he’s looking at a co-housing provision that could allow for greater density. Smith decided to expand the nonprofit’s housing ministry, which currently houses low-income residents in five Purcellville apartments, after years of discussions. 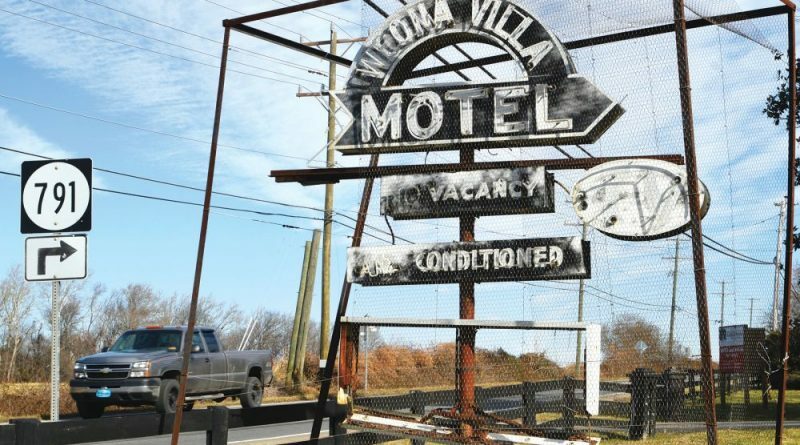 He said that after being asked numerous times whether he could use the 2,412-square-foot Weona Villa Motel—which got its name from a play on words to sound like “we own a villa”—he realized that the property is situated in a central location between the nonprofit’s ministry sites in Leesburg, Purcellville and Winchester. The 65-year-old Weona Villa Motel near Round Hill has been vacant since 2007, but could be restored to life in the form of a micro-cottage community. Smith hatched the idea for micro cottages after seeing some in Kansas City that were intended for military veterans. He said the nonprofit is now taking the county’s scenic appeal into account during the design process. “We want the cottages to be very much in keeping with the Loudoun landscape,” he said. If the project moves forward, Smith said the nonprofit’s first priority would be to welcome in senior citizens who can’t afford to live in the area. Because all Round Hill Town Council members expressed an interest in the project, saying it meets several of the housing goals in the town’s Comprehensive Plan, town staff will present a resolution to begin the process of amending the town’s plan during the council’s Feb. 21 meeting. The council will then refer the amendment to the Planning Commission to solicit public input. “We like what we heard and we want you to keep going,” Mayor Scott Ramsey told Smith. Smith said that he would work to “get as far down the approval process” as he can in the next four months by meeting with county staff and the Round Hill Owners Association—the group that oversees 1,100 homes within The Villages at Round Hill community, which abuts the motel property. He’s already met with the county’s Affordable Dwelling Unit Advisory Board, which he said has “warmly embraced” the micro-cottage concept. “I love the fact that we have another charitable organization thinking outside the box on ways to help with our affordable housing problems,” she said. Per Ramsey’s request, Smith will also give a presentation at the Feb. 21 Town Council meeting detailing his plan of action moving forward. As a resident of the Lakepoint community we will not support this project & plan to attend every possible public meeting in order to voice our opposition. We do not want our property value being diminished by low income housing or the crime that comes with it. This is EXCELLENT! This is the out-of-the-box thinking we need to solve problems that have been staring people in the face. Sitting eye sore for 12 years?! I’d hope the locals officials would convene special meeting with anyone required and fast-track this. Any who complain have had at least 12 years to come up with a better idea, no? “Fast track this” coming from the person who doesn’t have this going in in their backyard! Until u live in Lakepoint u will never understand the impact not only on a safety level but also on a traffic level. We can’t even get out of our neighborhood on a good day. If there will already be residents living there as well as random people showing up for whatever they’re “in need of” then there will be no chance of every getting in & out. The other issue is if these people are down on their luck, how & where will they go to get around, there’s no bus stop or shopping nearby. This is poorly thought out & I and many of my neighbors who are also against this would rather look at an “eyesore” than live amid this mess. Paul Smith apparently has a nice large farm as well as a B&B…why doesn’t he save the world on his own land??? please don’t pretend that you speak for all of lake point. we will be at every possible public meeting as well. housing for folks that can’t otherwise afford to live here is very much a need that is not being met. we are lacking the richness and strength of a real neighborhood as a result. if your major concern is that this diminishes the resale value of your house, i think you have to question the overall values of your community. Increased traffic? It used to be a motel. Types of people who might live there? It used to be a motel. Decreased property values? It used to be a motel. The “motel” hasn’t operated in 12 yrs & in the 15+ years that I have lived here I have never once seen anyone stay there. Also, the property has been kept up w/ regular mowing, etc. The only ugly thing about it is the sign. Don’t assume u know about traffic & property values if u don’t live here! The property has never affected traffic because nobody is ever there. Additionally it has never had a negative affect on property values as it stands now.